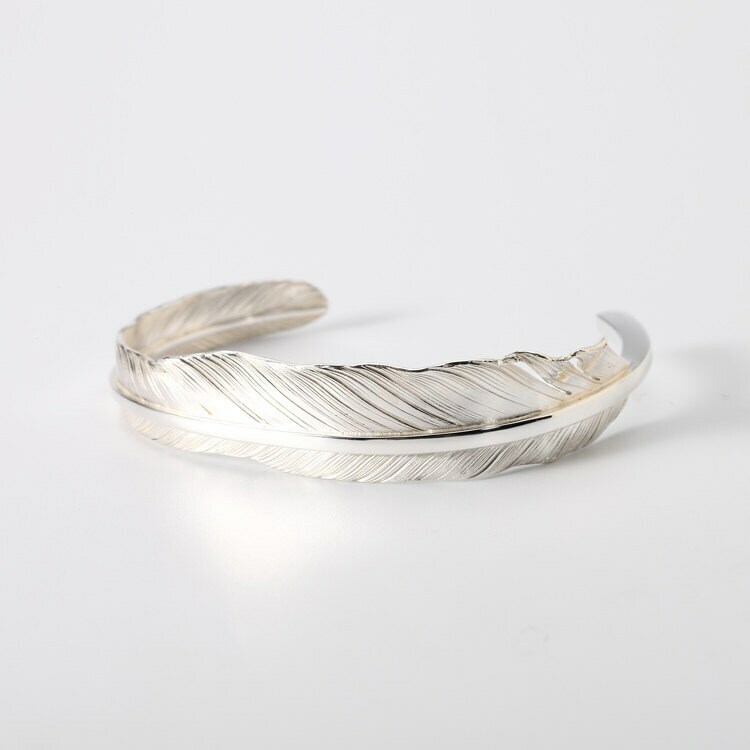 The silver feather bangle is a part of our extensive collection of silver feather jewelry. 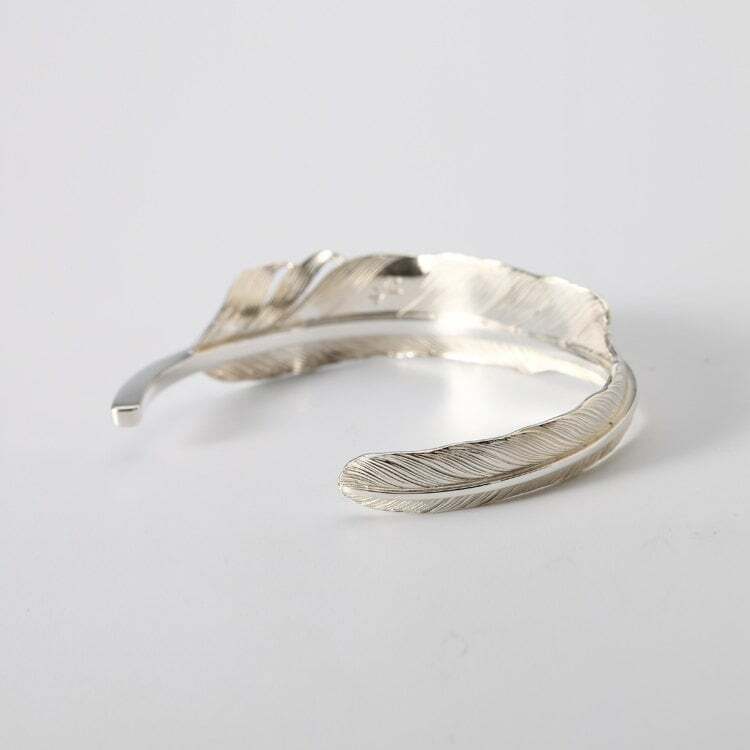 A single silver feather, curves gracefully to form the bracelet. Inspired by the Native American culture, the design features the rising plumes of the eagle. These feathers help the bird to gain height when flying, and soar up to the heavens. The eagle, and its feathers, have a special meaning in the Native tradition - they are a symbol of wisdom, courage and honor. 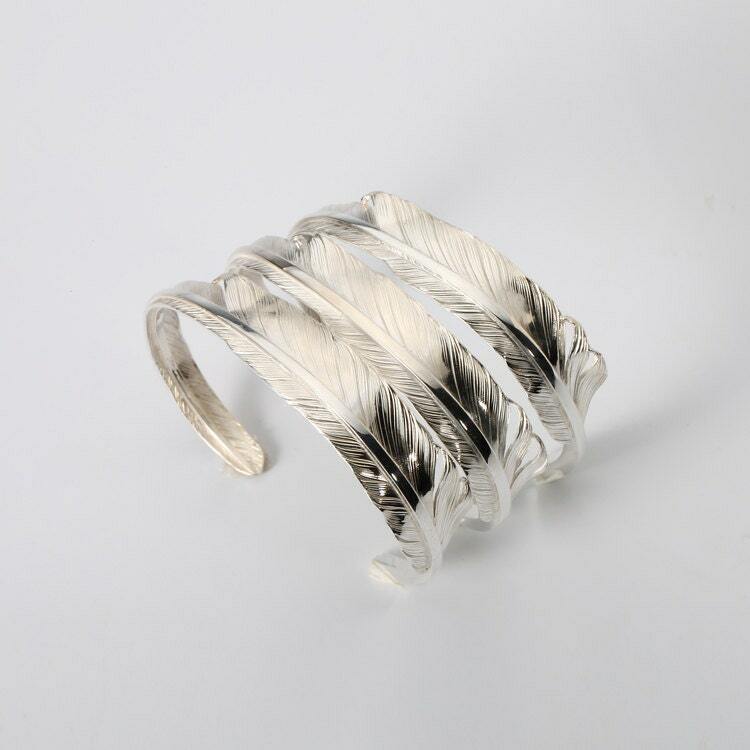 This is the spirit the silver feather bangle means to reflect. 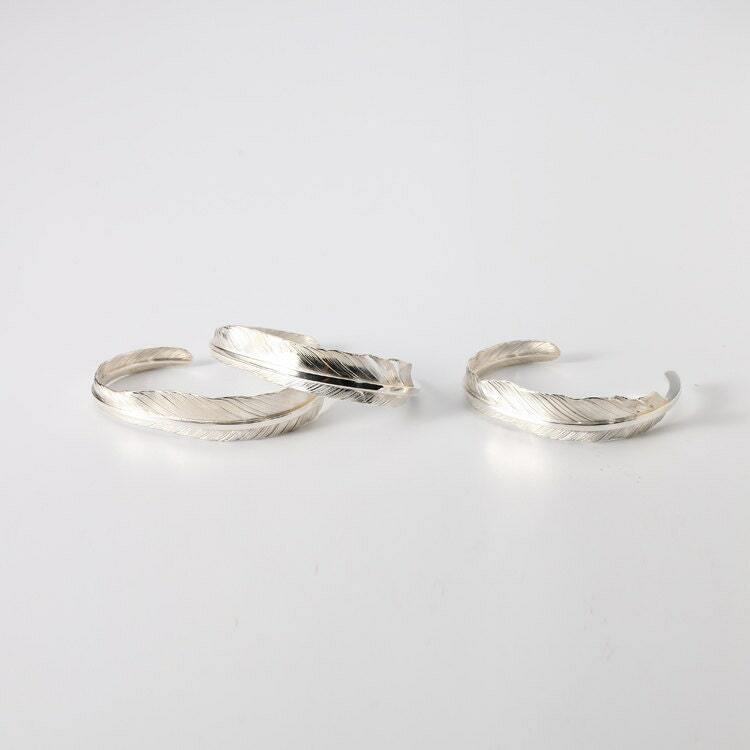 Width: 14mm/0.55 inch. Thickness: 3mm/0.12inch. This is a beautiful piece of artistry and has such intricate detail. It looks beautiful on and I am glad I chose this cuff because of the ability to adjust it to fit perfectly. Thank you and I look forward to purchasing from you in the future.